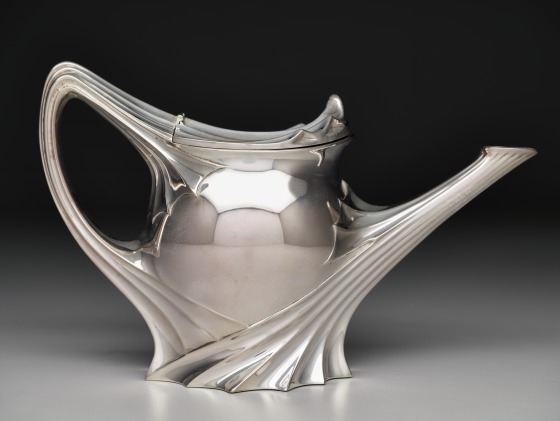 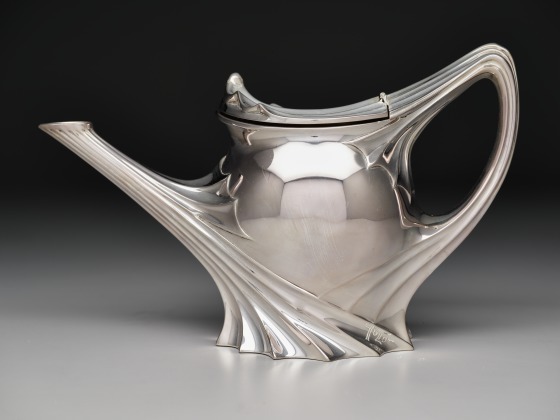 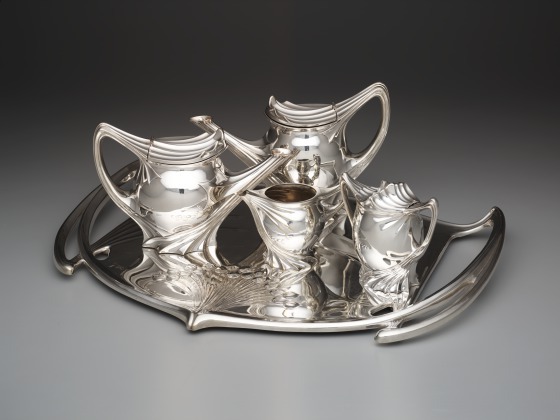 This coffee and tea service is dramatically styled of sinuous forms that resonate with the influence of French art nouveau design in the last years of the 19th century. 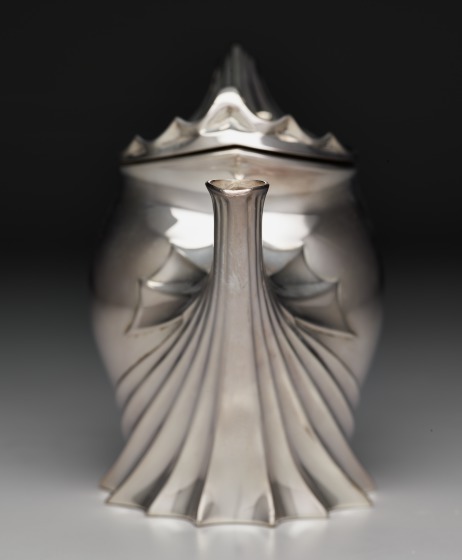 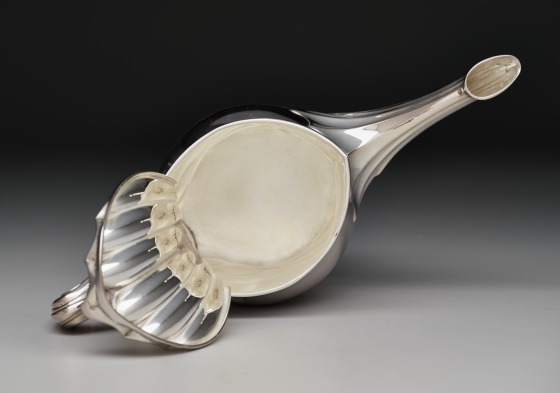 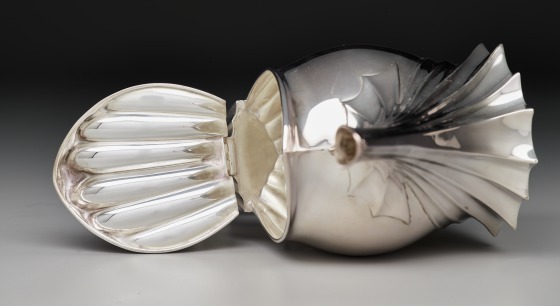 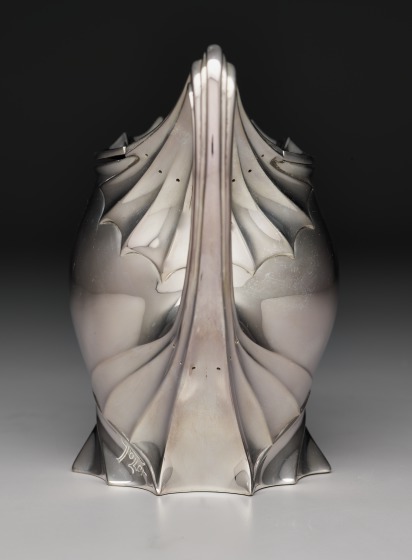 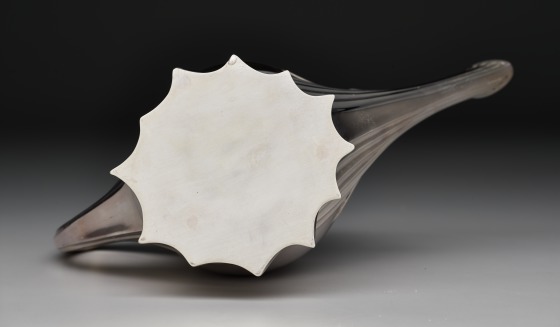 The individual pieces are bulbous and full, dominated by fluted lines that vaguely echo natural elements such as fish fins and seashells. The tray on which they sit has wildly swooping handles, and a spray of vegetal buds sprouts from one edge of its flat surface. 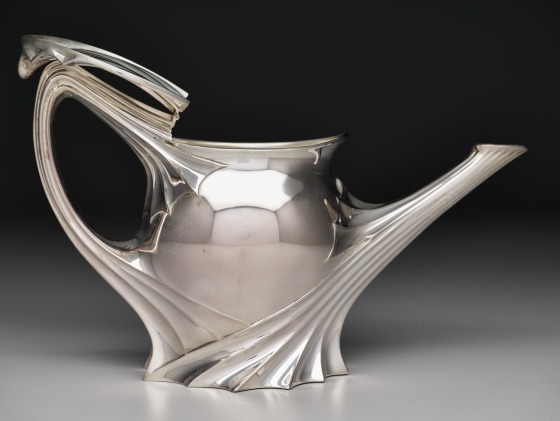 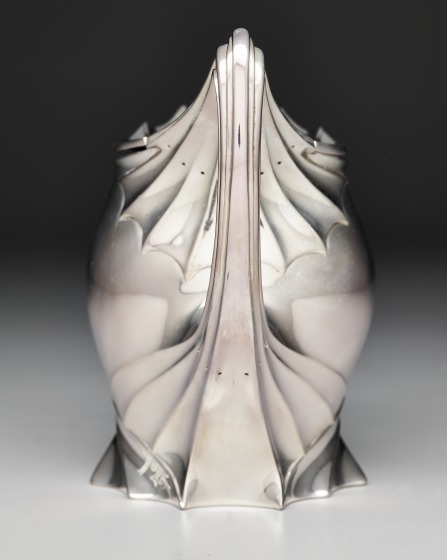 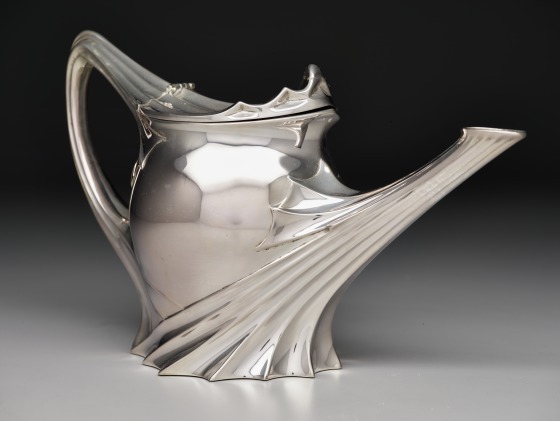 As the refined unity of this service demonstrates, Paul Follot masterfully distilled the more overt references to nature typical of early French art nouveau metalwork into something equally organic and abstract. 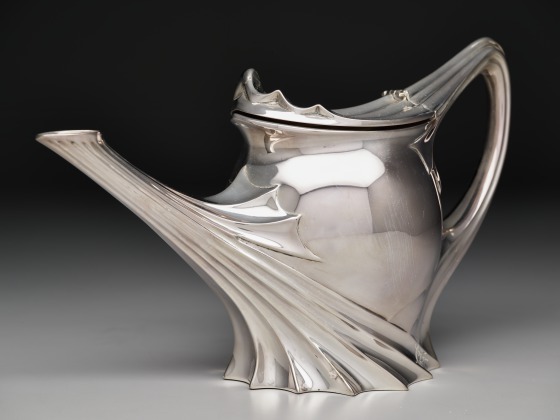 Bonnie Pitman, ed. "Coffee and tea service with tray" in Dallas Museum of Art: A Guide to the Collection (New Haven, CT: Yale University Press, 2012), 225.